It’s the day before the big event, and you are wondering “should I take it easy today?” Yes, absolutely. One of the most important race preparation elements is relaxation. You should arrive at the event relaxed and prepared to give your best effort. The goal is to line up the day of the event in the most rested and best prepared condition possible. Prep-ride warm up the day before. I’ll use the same 40 minute warm-up the day before the event as I do on race day, and if I can I will ride the actual race course. The goal here is to blow out the cobwebs while staying relaxed and fresh. Confidence and mental rehearsal. If this is a new course, or a championship event, completing a pre ride the day before on the actual course will give you confidence to corner at the maximum possible speed, and will allow you to observe the course profile and any potential hazards. Practice mental rehearsal of a strong start, smooth turnaround, and solid finish. Visualize yourself pedaling smoothly with relaxed breathing. Nutrition and sleep. I tend to keep nutrition simple and stick to my normal diet. I will not restrict calories the day before a race and I tend to avoid heavy foods that may cause digestive problems. Since many events begin in the morning, it is important to turn in early to prevent unnecessary fatigue. I strive to get 7.5 to 8 hours of sleep the night before the event. The key to the warm up is to properly prepare for the race while remaining rested, relaxed, and by staying cool. The following warm-up is 40 minutes total, completed on a trainer or on rollers. Racing a course that has rolling climbs can necessitate a slightly different strategy. Pushing (a little) harder on the climbs, and letting off (a little) on the descent can prove to be a faster strategy than to iso pace the rolling event. In contrast, I prefer to pace evenly or just slightly harder into a headwind and either even or slightly easier with a tailwind, providing that I am riding directly into the headwind. 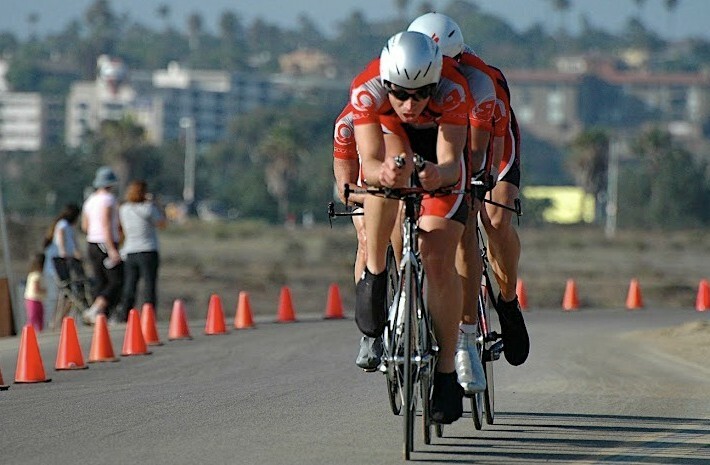 Pacing a time trial is an acquired skill, one that will likely take you several events to master. Using your power meter to pace in training is an excellent method of calibrating your perceived exertion for race day. For flat and low wind time trial races of durations between 10 miles and 40 kilometers, I often break the event into four parts. Rolling a good start will lay the foundation for a confident race. With five minutes to go you head over to the start area and take your position in line. You spin the cranks forward and ensure that you are in the correct gear. Your cycling computer is ready to record. You are hydrated, rested, warmed up and ready to compete. Close your eyes and picture yourself on the podium. Draw a mental picture of yourself rolling across the finish line as you clock a new personal best time. Find your motivation and remember it for later. After climbing up to the start house, or the start line, ensure that you have shifted to a large enough gear that will allow you to start out of the saddle and power up to speed for 10 seconds. At 1 minute out from your start, hit your timer. Take a few calm deep breaths and prepare for the countdown. Go time. This is one of the most critical sections of the race and pacing this section correctly can mean the difference between correctly pacing your best effort and blowing midway through the event. Pacing with a power meter can be invaluable during these first minutes. Your power during this period should put you in the range of 95% of your projected average power for the race. After the five minutes you should take inventory on your perceived exertion as compared to actual power, and adjust as needed for the day. Not everything is black and white when it comes to pacing with power. Use your power meter as a gauge, deferring to your perceived exertion. Listen to your breathing, focus on a smooth cadence. Push it. Head toward the turn-around. This is the “perceived longest” and most challenging section of the race. This is the section where you make deals with yourself in order to finish strong. “Just steady to the next mile marker” … “ok, keep this effort until you pass the next rider”. This is where the hours of intervals and time spent training and racing on your TT bike will pay dividends. Metering is done by perceived exertion using your power meter as an additional gauge. Your comfort during this section of the course can also play into how focused you are on putting out as much power as you possibly can. You may find yourself shifting around on the saddle, or unable to hold your position. You will have to dig deep into your well of confidence. Remember your motivation. Give our all and leave it all out on the course, punching across the line with everything you have left in the tank. 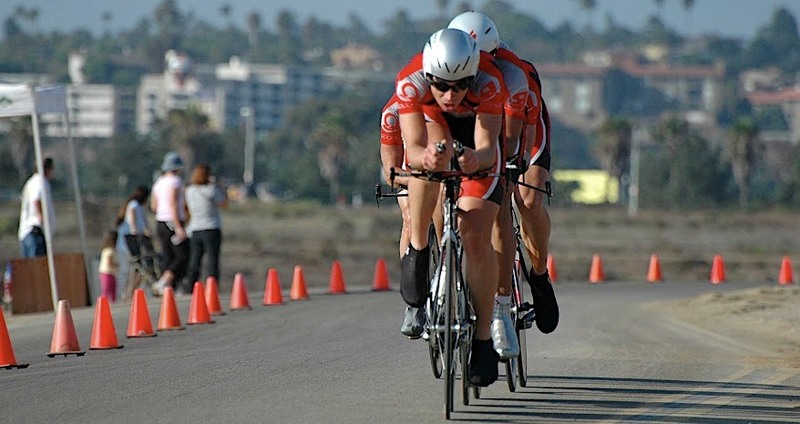 Recovery after a time trial and after challenging workouts is undoubtedly one of the most important aspects of a well-rounded training program for the competitive cyclist. Day and day out training, work, home, and life stresses can increase the fatigue that a rider experiences throughout the day, and can minimize the effectiveness of the workouts performed. To realize the most of your training program, effective recovery techniques can lessen the stresses of daily life and can help to prepare you for the next day’s workout. Nutrition – replace glycogen with a sports drink within 30mins-2hrs post ride at the rate of 1.5g carbohydrate per kilogram of body weight per hour for up to 4 hours. I prefer a bottle of Fluid, a Coke or bottle of Cytomax. Clean up – shower, or after a race/training ride where I cannot immediately shower, I’ll use a few baby wipes to clean up. Baby powder – keeps things dry. Nap – a short 20-30min lunchtime/afternoon nap can be beneficial. Stretching – improves mobility, flexibility, eliminates stiffness. Massage and Compression socks – massage is worth it if you need work done. Also, “the Stick” and Foam roller work well. Ice – if I am feeling particularly sore, I’ll ice my joints and/or muscles immediately after a ride. Hydrotherapy – a warm bath can work wonders for a sore body (however, not immediately following a workout). NSAIDS – Advil/etc. can help with pain, but use sparingly and as directed by your doctor, stomach ulcers and other risks are involved. Compression clothing can help with recovery, as well as office workers, travelers, and those who spend considerable amounts of time standing throughout the day. Mid-day stretching and “sunshine breaks” can also assist with reducing stress in the workplace. A healthy diet and ample vitamin supplementation are important foundations for a sound training program.